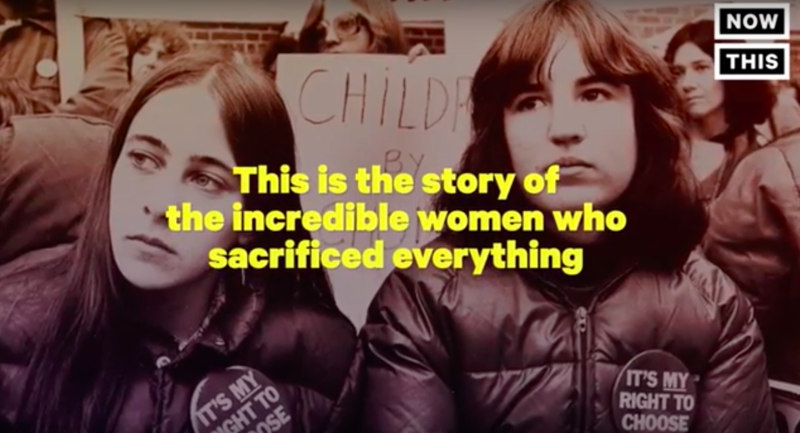 Actress Lena Dunham made an anniversary video for Planned Parenthood with Mindy Kaling, Jennifer Lawrence, Amy Schumer and more — and you need to see it. In honor of Planned Parenthood’s 100th anniversary, the Girls creator teamed up with fellow actresses to make a short, animated film. The film is titled 100 Years and was produced by Dunham along with J.J. Abrams. Amongst the narrators of the video are, Meryl Streep, Lawrence, Kaling, Schumer, America Ferrera, Constance Wu and many more. “Our goal was to create a piece of art that can educate Americans not just about what Planned Parenthood does but on the battles that have been fought in order to get here,” Dunham said in a press release via Entertainment Weekly. "We are now tasked with embodying the spirit of these fighters once more," she continued. "I am so grateful for my remarkable collaborators, who are strong enough to speak out for what is right and use their talents to change the status quo." So what’s in the video you ask? Well, for starters, a lot of important history. The video begins with black and white images of real women who stood up for reproductive rights. It then conveys a powerful message that is SO real and as relevant today as it was 100 years ago. From the very beginning we were hooked into the message and meaning behind this inspirational video. It continues as an animated tale of how it all began, starting with why Margaret Sanger founded Planned Parenthood. “No woman can call herself free who does not own and control her body,” the narrator says about the Sanger’s original mission. The narration continues with voices we’ve all come to love and respect on the big screen, as they tell tales of real women who needed help and had no one to turn to. Throughout the video you can see how Sanger created Planned Parenthood, helped make the birth control pill a reality, the Supreme Court’s 1973 Roe v. Wade decision, and today’s current issues for women. “For 100 years, women and families have counted on Planned Parenthood,” president of Planned Parenthood, Cecile Richards said in a statement. "Politicians may try to shut us down, but we will fight to keep our doors open — while continuing to provide expert, affordable health care to millions of people each year. We will not rest until access to health care and rights is a reality for all people." Richards’ determination to keep Planned Parenthood open is just the latest positive effort that women have made throughout history to keep women’s reproductive health in their own control. Check out the entire video above! You can do your part and support the organization as well by visiting PlannedParenthood.com.